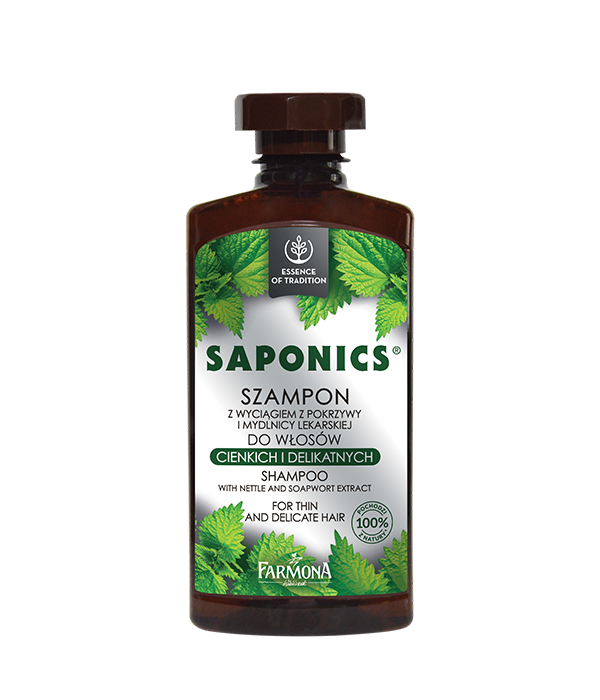 Saponics Shampoo restores the hair its desired volume and thickness and increases resistance to damage. The hair regains a beauty appearance, it becomes fluffy and full of light. Soapwort extract, contained in the shampoo, rich in saponins, has an antibacterial effect and soothes irritation. High content of nettle leaf extract improves metabolism and oxygenation of hair roots, inhibits hair loss and stimulates its growth. Gentle formula enriched in vitamins A, E and F regenerates, restores and strengthens hair structure. Apply shampoo to wet hair, gently massage, then rinse. If necessary, repeat the procedure. Soapwort extract, nettle leaves extract, vitamins A, E and F.